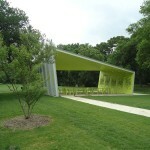 A Dallas pavilion’s exposed structure demanded extremely tight tolerances of Irving, Texas–based fabricator, CT&S. Ten years ago, the Dallas Parks & Recreation Department launched a revitalization project to update 39 decrepit pavilions throughout its park system. 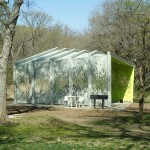 One of them—which was to be designed by the New York office of Norwegian architecture firm Snøhetta in partnership with local practice Architexas—sat at the mouth of a meadow lined by old pecan and oak trees on the southern side of College Park. 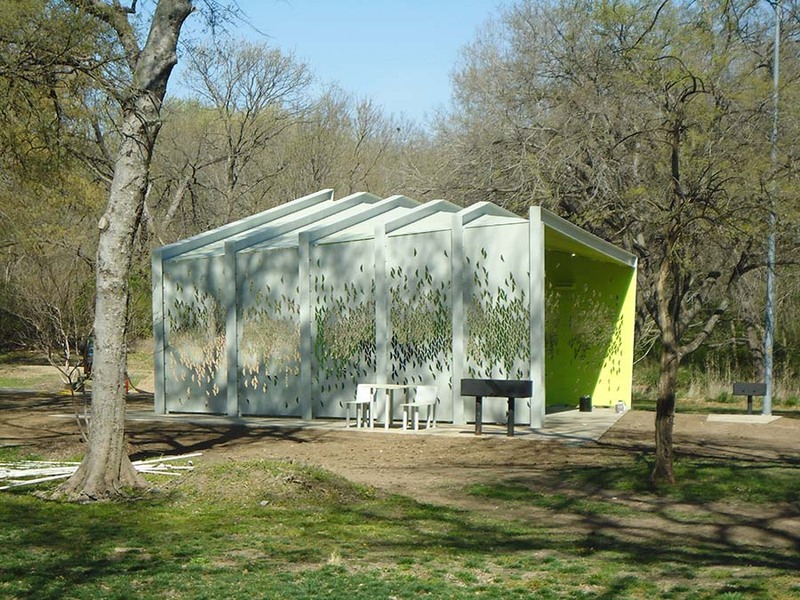 Speaking about the site, Snøhetta director Elaine Molinar said, “You’re aware you’ve left the surrounding neighborhood and entered a more rural setting.” This is the feeling that the team wished to encourage in its design for a new pavilion. The team looked to the surrounding foliage for inspiration. 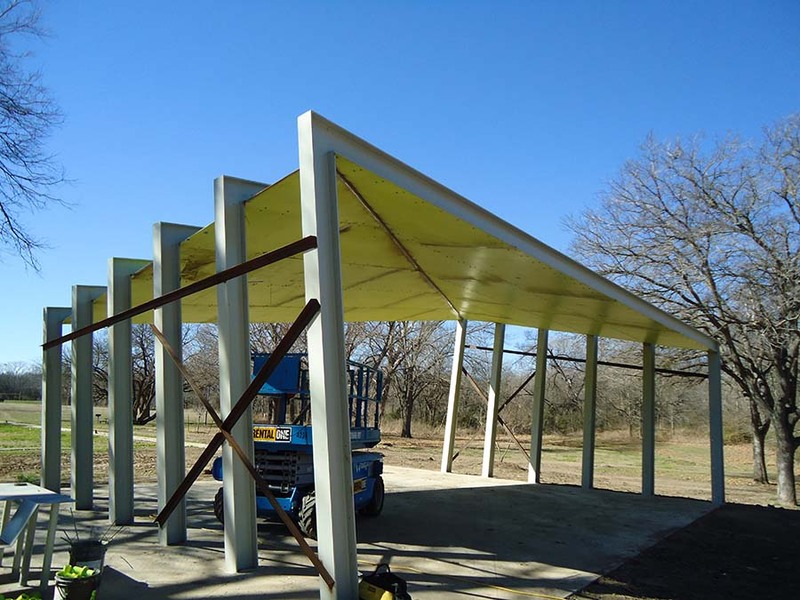 The pavilion super structure is made up of miter-joined steel wide flange sections that form continuous columns and rafters. 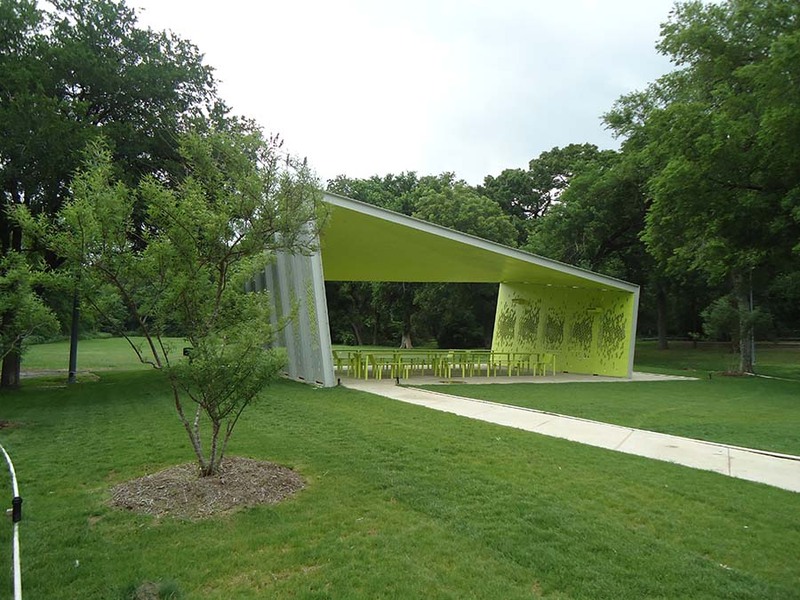 The members feature a variety of angles that, in assembly, create a torqued and folded profile based loosely on shapes found in the park’s tree canopy. 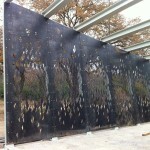 The roof and two sides are enclosed with 1/4-inch plate steel bolted to the insides of the structural sections. 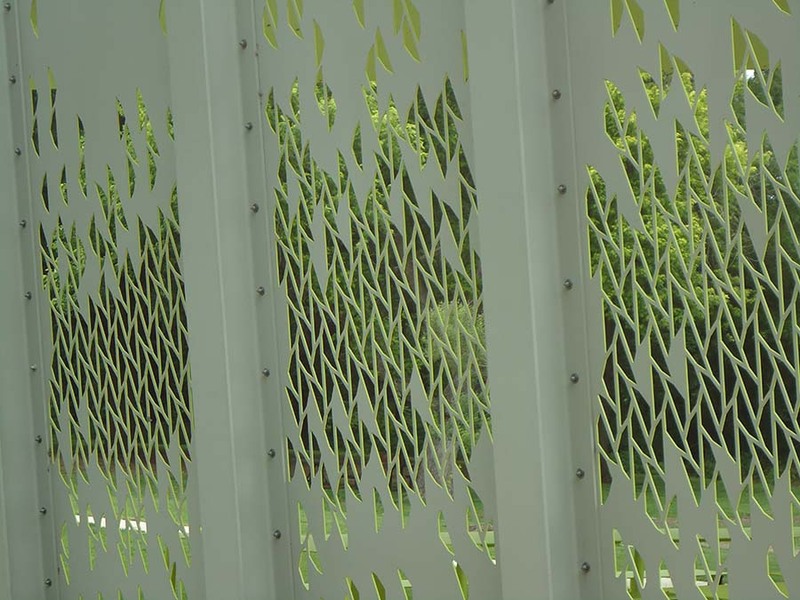 To meet the city’s visibility requirements for safety, the sides were water jet cut in abstracted leaf shapes of varying sizes and densities, resembling dappled sunlight falling through leaves. 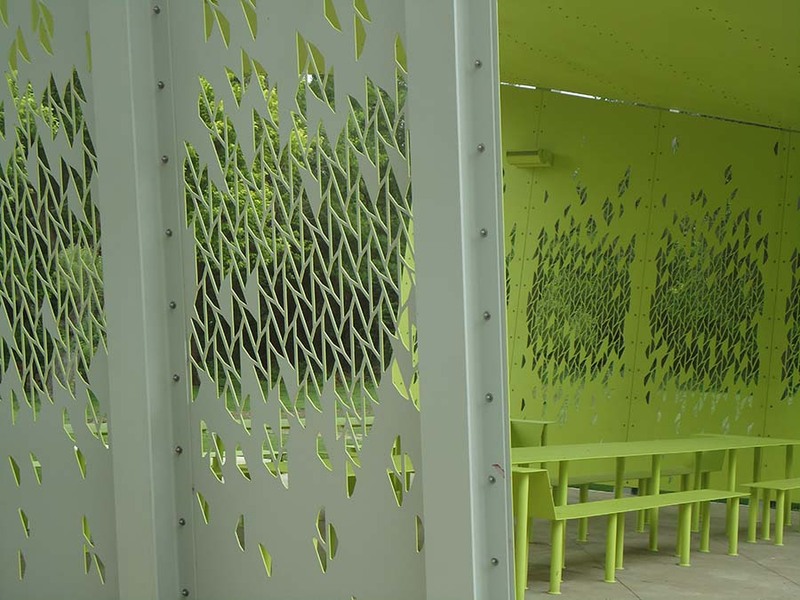 Though the pavilion is straightforward in design, its execution was a rewarding challenge for the architects and the fabricator. 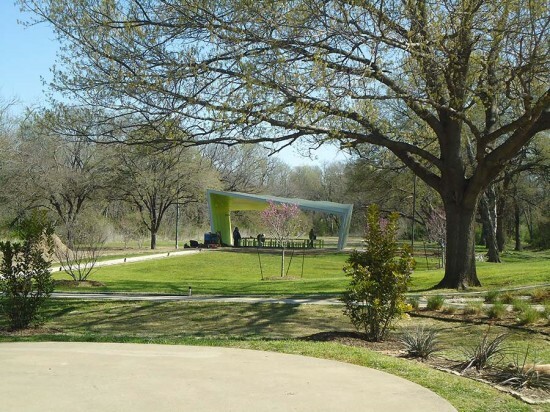 “The form was influenced by the shape of the tree canopies around,” explained John Allender, principal at Architexas. Starting with an orthogonal form in Rhino, the architects pushed the angles to resemble the natural surrounding shapes. 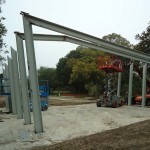 The exposed beams and columns on the structure’s exterior magnify the twisted form. Since the canted framework is fully exposed, there was zero tolerance for error. 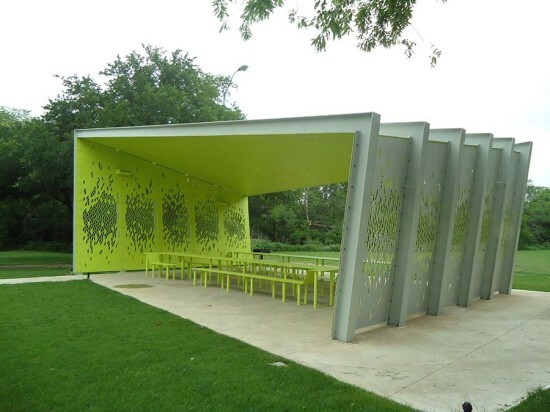 “The unforgiving design is a difficult one to build,” said Bruce Witter of Irving, Texas–based fabricator CT&S. “These were tight tolerances, far beyond AWS standards,” he added. 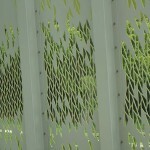 After translating the Rhino file to AutoCAD, CT&S laser cut mockups to test the angles. 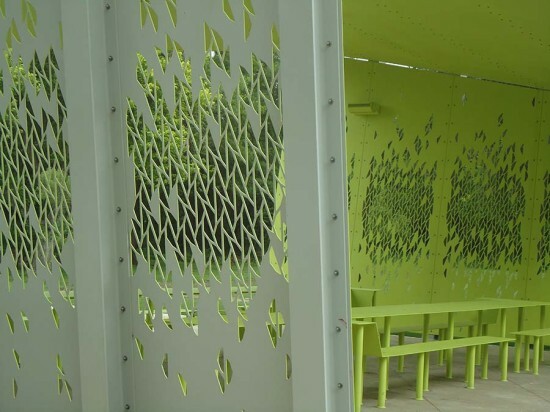 Following a workshop at the fabrication studio, the team took close to 12 weeks to craft the beams and panels, prepare bolt holes, paint the steel, and affix a special waterproof sheet to the ceiling panel. 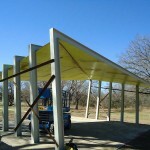 Installing the pavilion over a concrete slab also required considerable preparation and time. 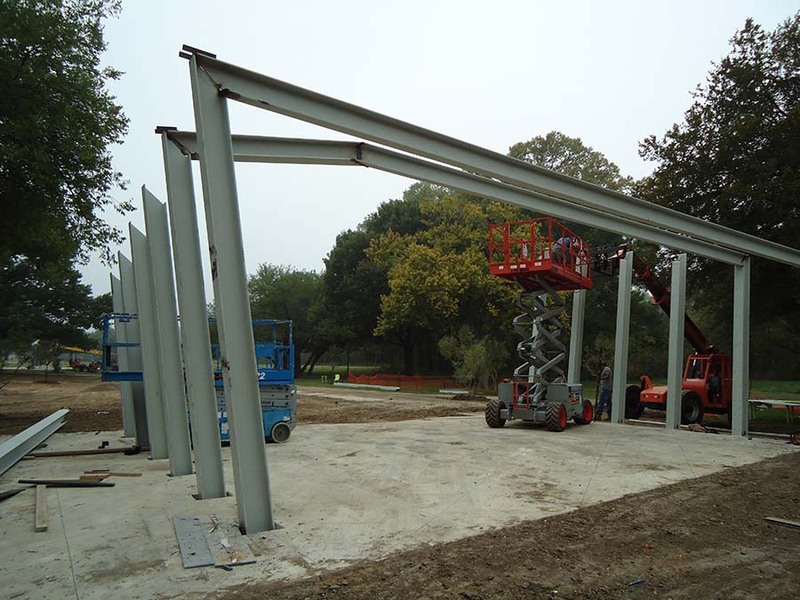 During the course of nearly a dozen site visits by designers at Architexas, the fabricators erected the columns and roof beams using 3D scans to ensure the fidelity of the final product. 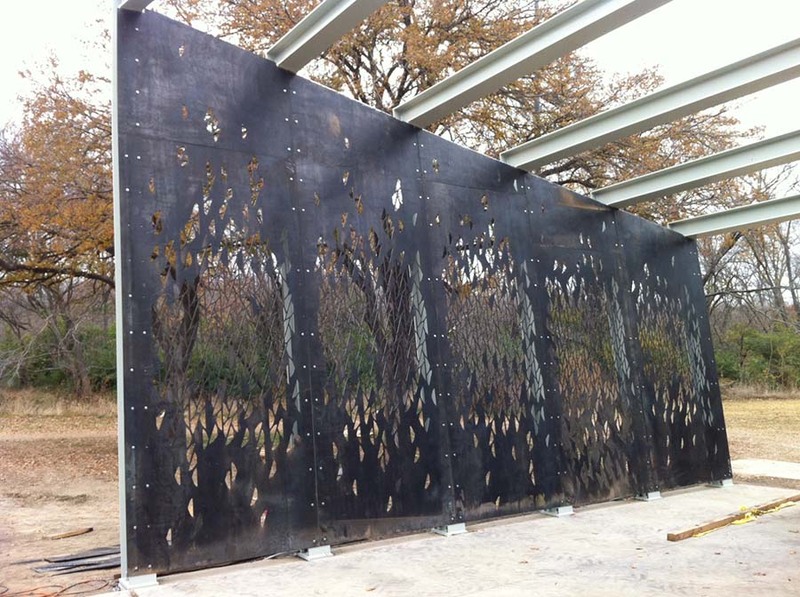 According to Witter, the canted angles injected errors into the digital layout, so hard templates were the most reliable method for a successful installation. “If you don’t have the fixed angle, you won’t get the reading right,” said Witter. 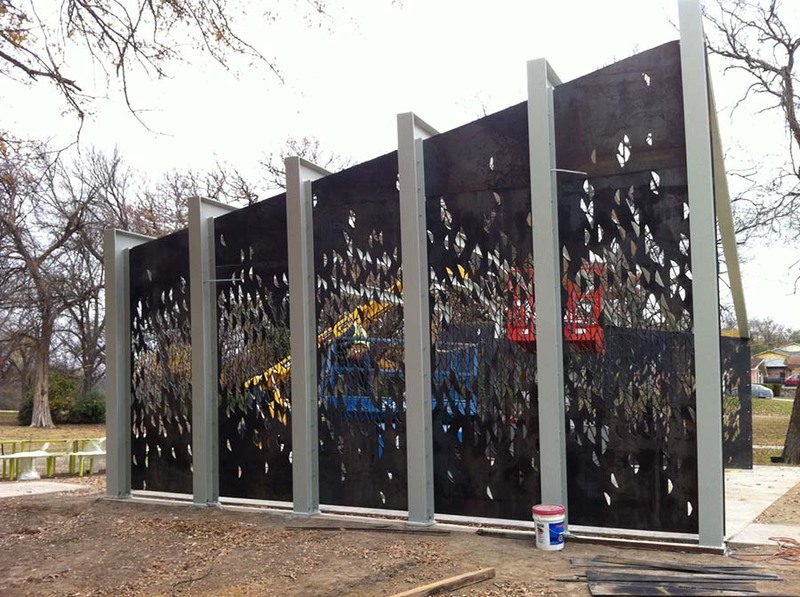 With the heavily collaborative nature of the design, Allender said working with a local fabricator—CT&S’ facilities are located 15 miles from the job site—was essential to the success of the project. 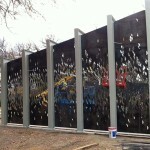 “There’s no way this project could have been done by someone out of town,” he said.